Cebu has been my home away from home. 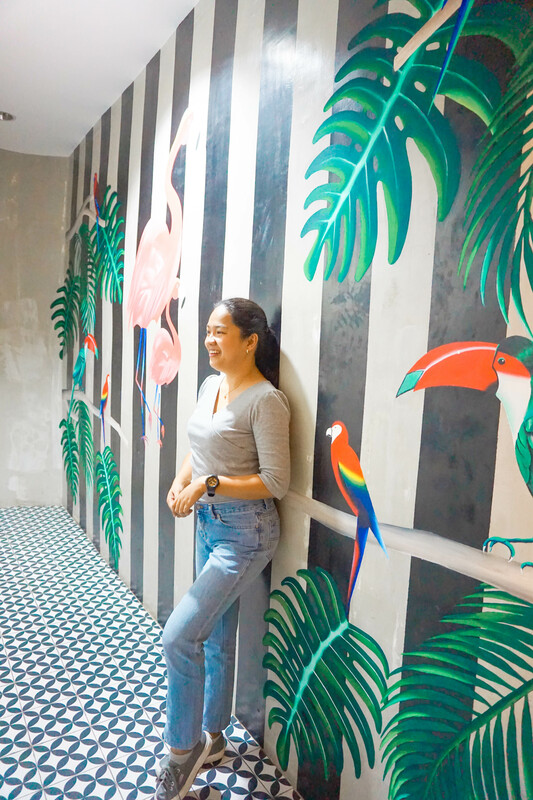 I spent most of my adolescence years here in the City and I have to say that Cebu has a lot to offer, and also there’s more things to discover in this big old city. I want to share with you some of the historical sites and museums, that I enjoy exploring the city. 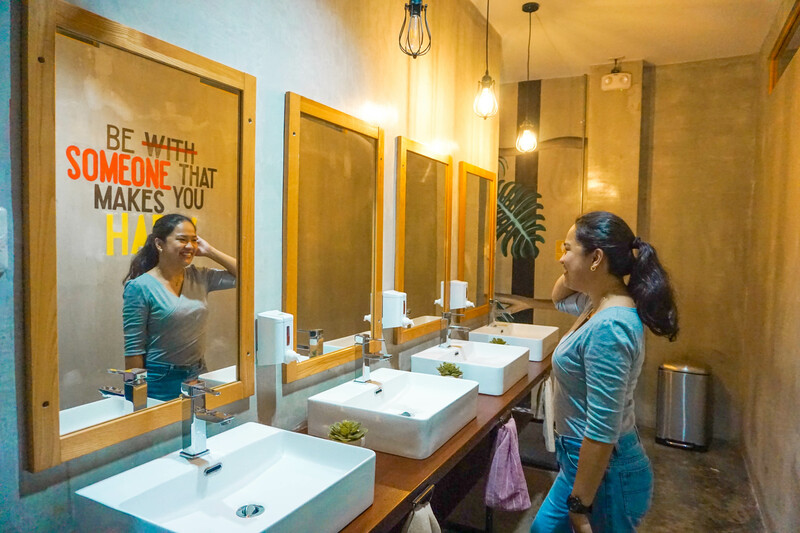 This list has been our go-to places everytime we have visitors, or new friends, especially foreigners, who like to know more about Cebu’s culture and history. The museum was build in an old coral-stone and was Cebu’s provincial jail from 1870 to 2004. It has several galleries, and the rooms are dedicated to eras in Cebu’s history. One od the galleries is an American-era gallery holds an interesting collection of letters and memorabilia from Thomas Sharpe. WWII gallery, located upstares contains an American bomb that was dropped in Cebu, Japanese propaganda newspapers and a Purple Heart and Bronze Star earned by local to name a few Uldrico Cabahug. The Gorordo House was built in the 1850s and originally owned by Alejandro Reynes y Rosales. It was bought by Isidro Gorordo, a merchant from the Basque province of Vizcaya in Spain. Four generations of his family lived in this house including Juan Gorordo, the first Filipino bishop of Cebu. Thus, its present name. Casa Gorordo is a fine example of a Spanish colonial era house known locally as balay nga tisa, or house with tiled roof. Its architecture, which combines native, Spanish, and Chinese influences, is unique to the Philippines. This cultural blending of east and west is referred to as mestizo and is a defining character of Filipino identity. Php150 – Use of tablet, booklet, souvenir, and beverage. 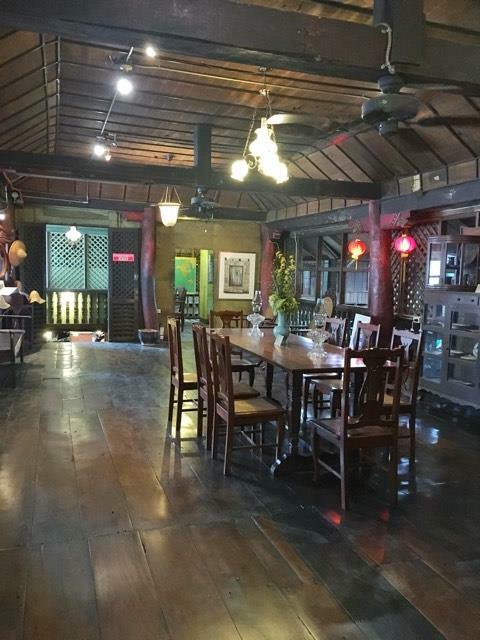 The Yap-Sandiego Ancestral House is one of the oldest houses in the Philippines. 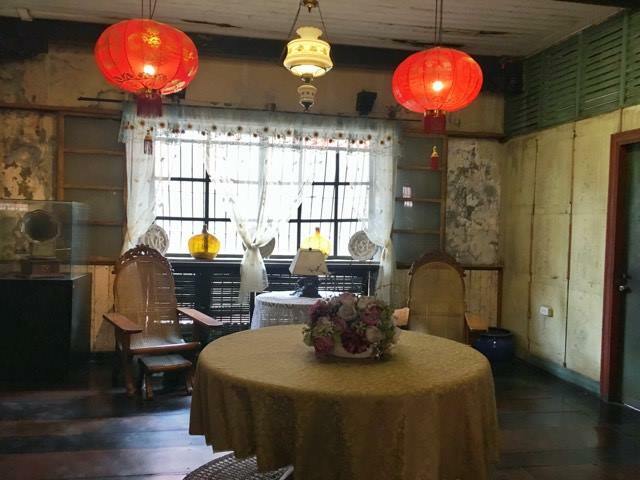 It is declared to be the first Chinese house built outside of China. The house was constructed between 1675 and 1700. As of today, the ancestral house has remained in its original state even though it already shows weathered but solid structures made of wood (molave) and coral stones. Often referred to as “Balay nga Bato ug Kahoy” by the locals. This was the house of Don Juan Yap and Doña Maria Florido with their 3 children: Maria, Eleuterio and Consolacion. The Heritage of Cebu Monument is a representation of Cebu’s rich history, back from the time of Rajah Humabon to the recent beatification of the Cebuano martyr, Pedro Calungsod. The monument was built by the local artist, Eduardo Castrillo, started in July 1997. He and the late Senator Marcelo Fernan funded the construction together with other donations from private individuals and organizations. The construction was finished and inaugurated on December 8, 2000. The scenes illustrated in the monument are the conversion of Rajah Humabon and his followers to Christianity, the fascinating depiction of a Roman Catholic Mass and the Battle of Mactan on April 21, 1521, when the Lapu-Lapu warriors defeated Spanish forces. See the arrival of Portuguese explorer Ferdinand Magellan and his Spanish fleet. Recognize the metal replicas of nearby attractions, such as the Minor Basilica of the Holy Child, the Cebu Metropolitan Cathedral and Magellan’s Cross. Also, the structures has a Spanish Galleon, Statues of Sergio Osmena Sr. and Blessed Pedro Calungsod. The Jesuit House, can claim to be the oldest dated house in the Philippines based on a low- relief bearing “Año 1730” – an artifact in itself. However, recent restoration works prove that it could even be older than that. 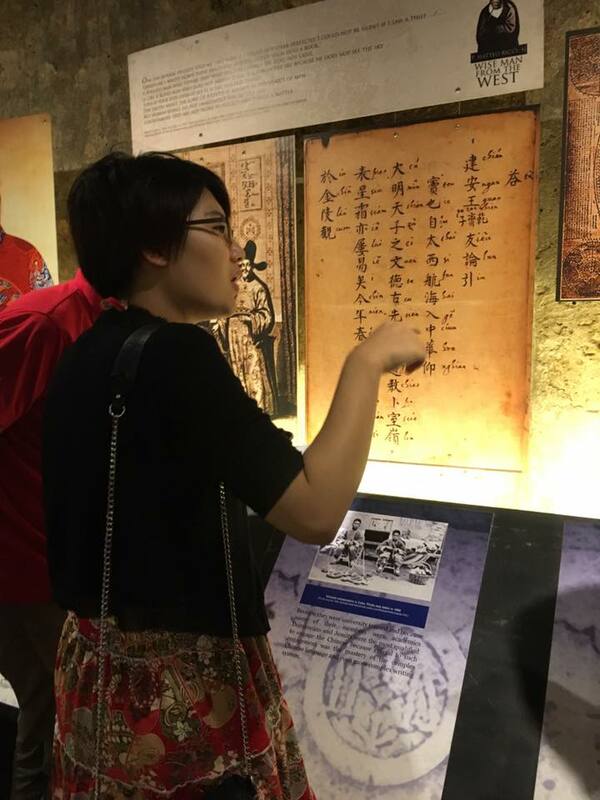 The found a coin which dates back to the Ming Dynasty found buried in a post of the original house has given the clue that it has gone through periods of transformation and that it was originally owned by a Chinese family who was one of the early settlers in the Parian district. There are broken ceramics dug out point as well to the Ming Dynasty. The house was hidden for years, it was only recently rediscovered and developed into a museum. Check this blog post when we tour a friend in Jesuit House Museum. 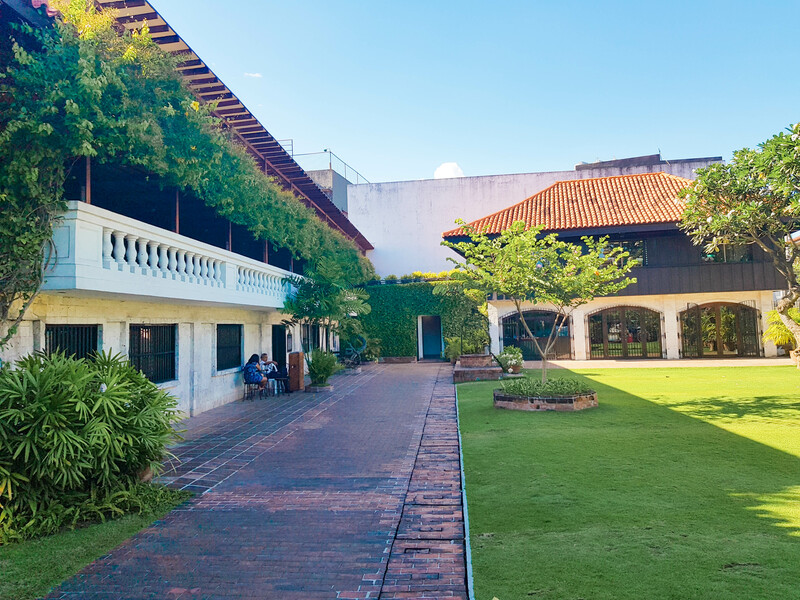 The Jose R. Gullas Halad Museum has five galleries, such as the Cebuano music gallery, Kinaiyang Sugbuanon or the Cebuano cultural traditions gallery, and the founder’s gallery. The museum is dedicated to the parents of the founder, Don Vicente and Inday Prining Gullas. The Cathedral Museum of Cebu was re-opened in November 2006, where this house was an old rectory of Cebu Metropolitan Cathedral during 1880′s. It is the ecclesiastical museum of the Roman Catholic Archdiocese of Cebu. It showcases religious architecture and artifacts from the region that are mostly from the Spanish colonial times. The Cathedral is a wide religious structure of Spanish colonial design. It is one of the most important emblems of Catholicism in the Philippines. Inspect the statues of religious figures that decorate the square outside the church. The Basílica Minore del Santo Niño de Cebú commonly known as the Santo Niño Basilica, is a minor basilica in Cebu City in the Philippines that was founded in the 1565 by Fray Andrés de Urdaneta, O.S.A. and Fray Diego de Herrera, O.S.A. The oldest Roman Catholic church in the country, it is built on the spot where the image of the Santo Niño de Cebú was found during the expedition of Miguel López de Legazpi. The icon, a statuette of the Child Jesus, is the same one presented by Ferdinand Magellan to the chief consort of Rajah Humabon upon the royal couple’s christening on April 14, 1521. Magellan’s Cross holds a very big part of the history of Cebu. It is believed to be a Christian cross planted by the Portuguese and Spanish explorers headed by Ferdinand Magellan. It was planted upon their arrival in Cebu on March 15, 1521. That day also marked the birth of Christianity in the land. The Fort San Pedro (or the Fuerte de San Pedro in Spanish) is a military defence structure in Cebu. It was established in 1565, by the Spaniards under the command of Miguel Lopez de Legazpi, the first governor of Captaincy General of the Philippines. The original fort built right after the arrival of Legaspi and his expedition was made of wood. It was then replaced in the 17th century with a stone fort to repel Muslim raiders. Today’s fort was built in 1738. Fort San Pedro is triangular in shape. It has two sides facing the sea and the third side is facing the land. It served as the embryo of the very first Spanish settlement in the Philippines. At the end of the 19th century during the Philippine Revolution, the fort was attacked and taken by the Filipino Revolutionaries who used it as a stronghold. 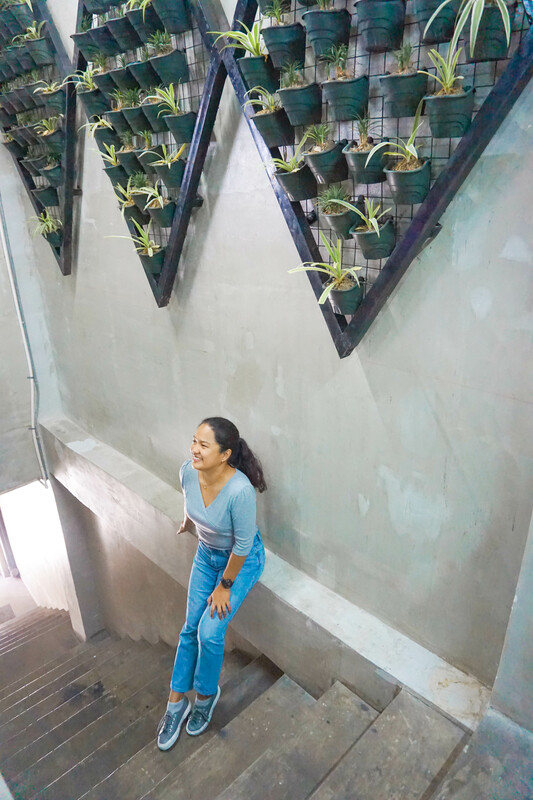 This is the perfect place to stay if you want to tour the downtown area of Cebu City. The property is close to all of the historical museum and sites mentioned in this post. Also, it’s a 5-minute walk to Pier 1, traveling to the nearby islands such as Bohol and Leyte would be be an easy access. 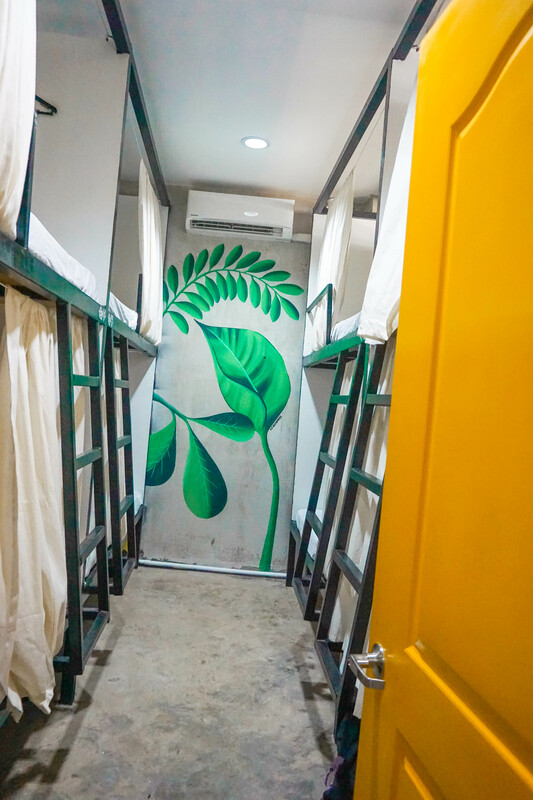 Personally, I love the design of the hostel. It is a mix of modern interior and tropical vibe. 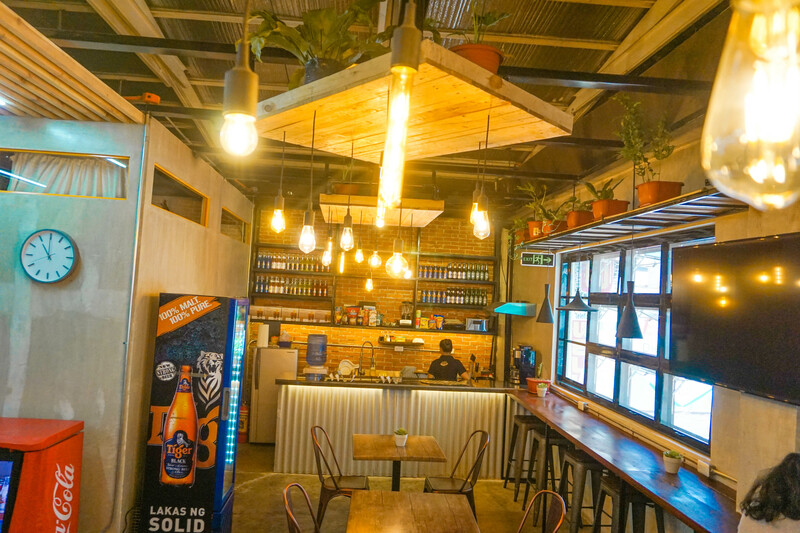 It gives the place a really homey feeling, and it has a good area to chill and work. 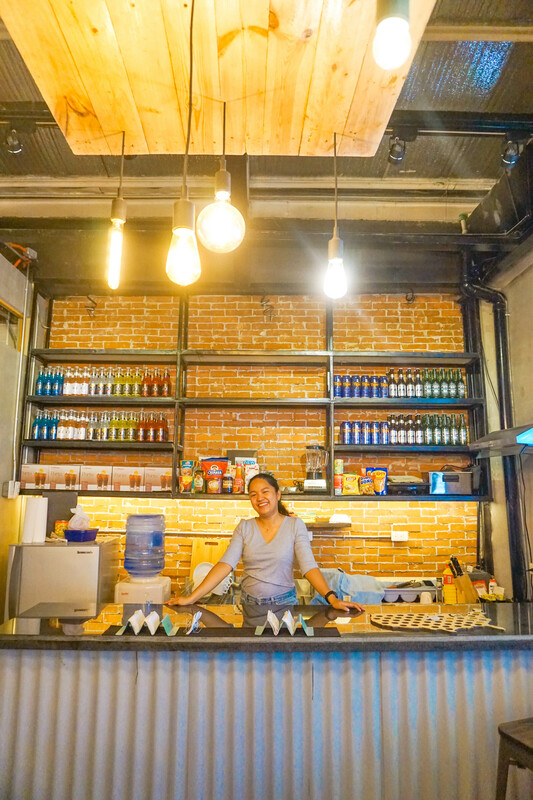 Most importantly, the owner and the staff are really friendly and accommodating. They have a 24-hour front desk that can assist the guests in the area. Guests can enjoy a meal, or a drink at the restaurant area. The kitchen is also accessible if you like to cook your own meals as well. Rooms include a shared bathroom with a bidet. They have a Female Only Room, and a Mixed Dormitory Room. All rooms are air conditioned. For a very affordable price. You’ll have a comfy bed with a private curtain, a bedside light & an outlet. We usually take our guest to eat at Manila Foodshoppe in Mabini Street. But if you want a lot of choices in one area. You can eat near Fort San Pedro. It is in M.J. Cuenco Avenue to Quezon Boulevard. There are a lot of restaurants and bar in this area. While exploring the downtown area in Cebu, you’ll see a lot of street food vendors. If you like to eat street foods you can try ngohiong, fishball, proben, and of course balut. Fruit stands are also everywhere. There are also tons of International and Filipino fast food in the area. Visit the first ever street in the Philippines, Colon Street, where there are a lot of shops selling affordable things. Be mindful of your belongings while exploring the downtown area, some of the streets are quite sketchy. Better safe than sorry. Carbon Market is also one of the cheapest places to buy fruits and vegetables. If you can cook in your accommodation, you can buy your ingredients in Carbon Market. Downtown Cebu can be explored on your own, but if you want to avail a tour package, you can get it via Klook. Or we can explore downtown Cebu together! When we travel, we use Showaround to meet locals to take us to nice spots in their area. At the same time, we use the platform to meet and show tourists around Cebu City. So far, I’ve met many wonderful people though Showaround, so if you want, we can meet and we can take you to our favorite spots in the city. Hit us a message and if we are available, we can explore together! Hope you enjoy this post. 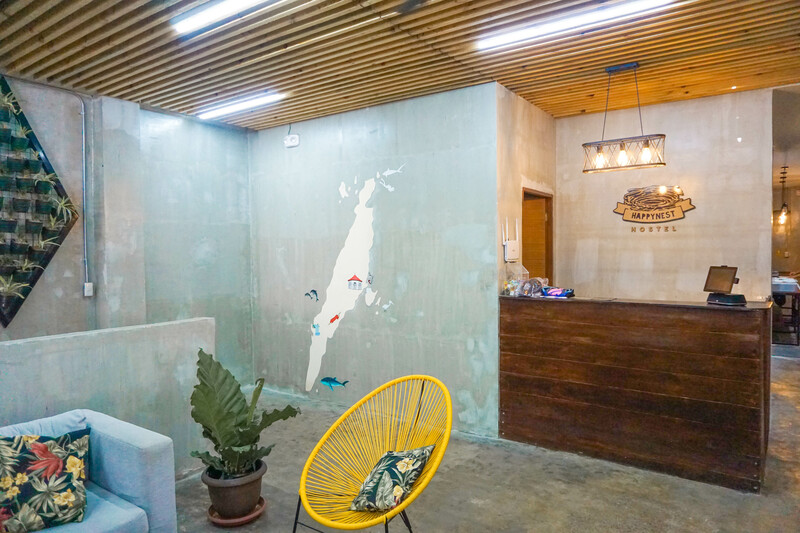 I had a collaboration with HappyNest Hostel, but all thoughts and opinions are mine.